Bishop Museum, one of the museums on Oahu. Here’s why you should visit one of the museums on Oahu. Oahu’s museums are dedicated to the history, culture and art of the Hawaiian Islands as well as of Polynesia. Because Oahu is the State’s most visited island, visitors should definitely take advantage of their stay by visiting some or all of them. Many consider this one of the premier museums in the entire State. Charles Reed Bishop built the museum in memory of his wife, Princess Bernice Pauahi Bishop. It originally showcased Hawaiian artifacts and the family heirlooms of the princess. Today, it is home to millions of Hawaiian and Pacific region artifacts and documents with historic photographs. Here, visitors can learn about Hawaiian and Polynesian culture through tours as well as through interactive presentations. 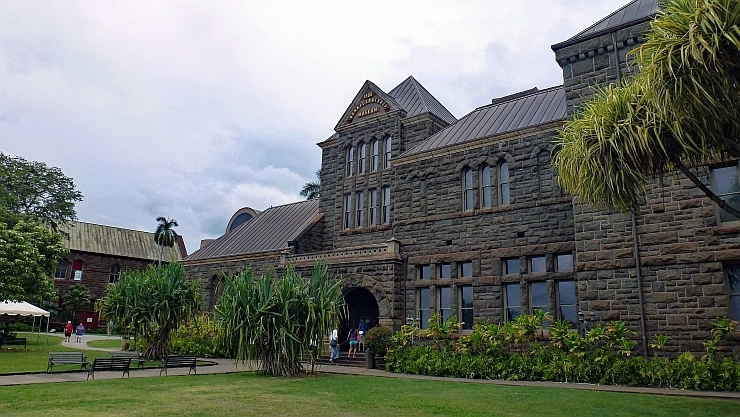 Most consider the Bishop Museum as the place to go whenever anyone wants to learn about Hawaii’s past. The museum began when the art collection of Anna Rice Cooke and Charles Cooke outgrew their home. They donated a sizable piece of land and established an endowment to construct the museum. Today, the museum contains over 50,000 fine art pieces from Asia, America and Europe. Formerly the Academy of Arts, it is one of the most important art museums on Oahu. This is one of the most historic museums on Oahu. Iolani Palace is the former home of Hawaiian royalty. It is only royal palace in the United States and is on the National Register of Historic Places. Hawaiian royalty occupied the palace until 1893. During this time, American businessmen dethroned Queen Lili’uokalani with the help of US Marines. 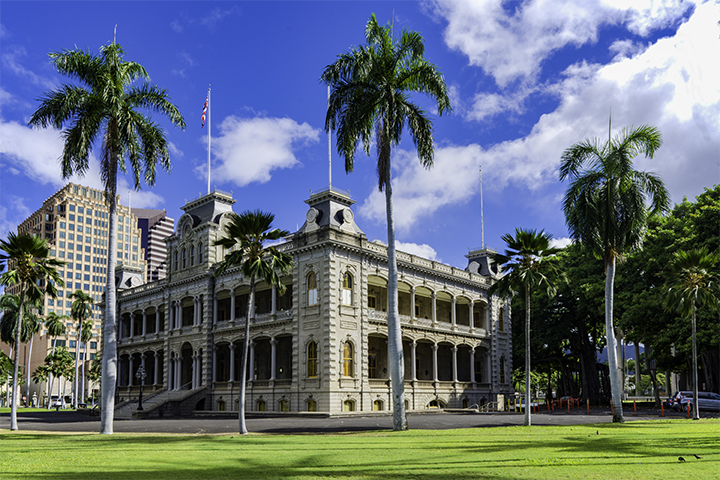 Iolani Palace enables visitors to get a sense of the monarchy’s legacy on Hawaii‘s history and culture. You can find this Hawaiian art museum in an historic building that was once the Downtown YMCA. It is only steps away from Iolani Palace. The museum dedicates itself to promoting the art and culture of Hawaii. A relatively recent addition, the Pacific Aviation Museum is on Ford Island in Pearl Harbor. It focuses on World War II vintage aircraft and the attack on Pearl Harbor on December 7, 1941. If you’re down here, you should also visit the adjacent USS Missouri Memorial, the historic World War II battleship. This would be an ideal place to stop on your way to Nu’uanu Pali Lookout, a popular Oahu attraction. The palace was the summer retreat of Queen Emma and King Kamehameha IV. The palace is also home to many original royal antiques and furnishings. A noteworthy artifact is the koa wood cradle of the infant Prince Albert who tragically died at age four. This is a privately owned museum with a collection of pearls, corals, gemstones and fossils from Hawaii and elsewhere. 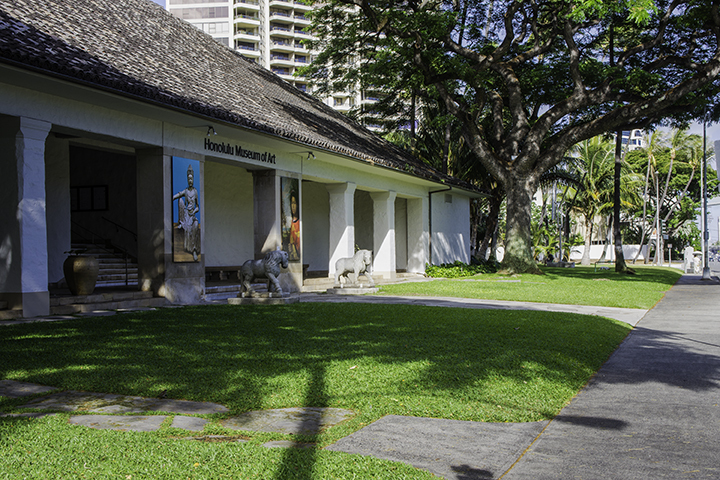 You can find the museum in the heart of Waikiki. It dedicates itself to the natural treasures of the Hawaiian Islands as well as from other parts of the world. In Waipahu, the Hawaii Plantation Village enables you to step back in time and experience plantation life. Here, you’ll see a wide range of outdoor sugar plantation-related exhibits. Here, one can learn about the importance of the sugar industry in the history of the islands. You can also recount the saga of immigrants who worked in the plantations as a means to find a better life in Hawaii.